We are a main supplier of stickers, labels, decals and fence signs to event hire companies. With over 70 years experience, we have the right product at the right price for your needs. 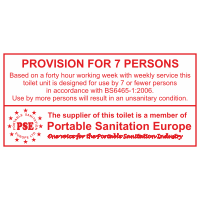 As the official sticker supplier for Portable Sanitation Europe PSE, we understand the needs of the industry and print branded stickers for the front and sides of portable plastic toilets. 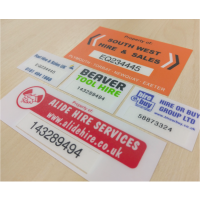 We also supply a range of standard stock stickers for the industry. Printed onto a strong adhesive to make sure they adhere and last. 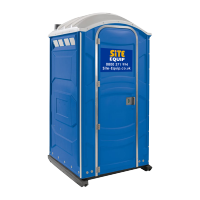 We use a High-tak rubber adhesive that is specially designed to stick to portable toilets. Designed to enable you to print your own asset number or bar code and then securely apply to your plant, equipment & machinery. These stickers are made of a highly resistant material and use a strong 3M adhesive. 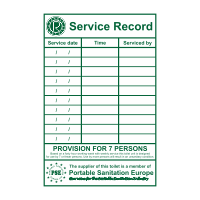 This means that your plant and machinery will stay “numbered” for years, and because all the details and print are behind the film, they are waterproof and scratch resistant. 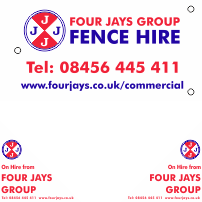 We offer a complete range of personalised fence ties and tags. Printed on one or both sides, with holes punched. Fence Tags allow you to both secure your fencing and advertise at the same time. 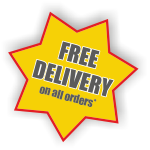 We also offer triangular stickers for the corners of your fences. Inspection Stickers customised with your brand. Printed onto a exterior grade outdoor matt vinyl with inks that wont fade. Easy to write on and long lasting. 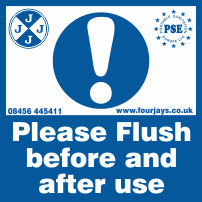 We offer a range of safety stickers. PSE certified with your brand added or we can supply to a bespoke design of your choice. 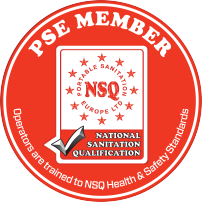 If you are working to the National Sanitation Qualification Standard then make sure your promoting it. Fleet Operator Recognition Scheme Stickers. 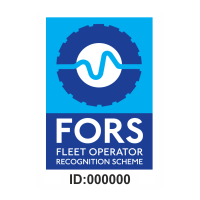 Promote your FORS accreditation. Perfect to stick to your vehicles. Bronze, Silver and Gold varitaions available. Inside window stickers also available.